• Use any web browser from your computer to download and upload Photos and Videos from your !!!!device!!! !, everything from and to your photo library. 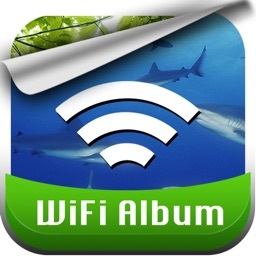 • Transfer photos and videos between iPhone, iPad or iPod Touch devices, using Wi-Fi or Bluetooth. Everything directly to and from your photo library. 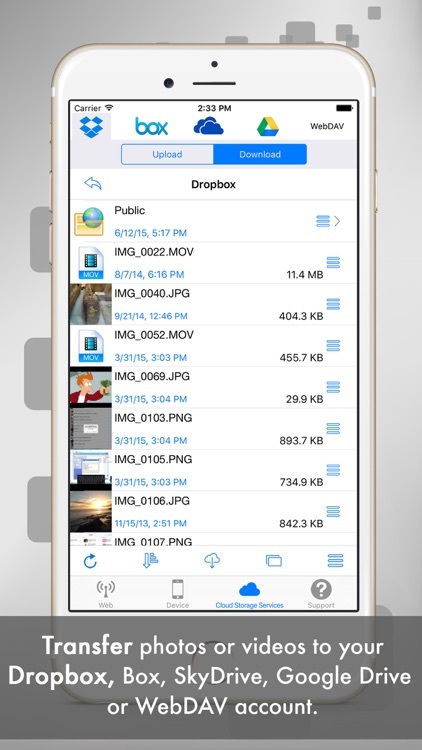 • WebDAV, Dropbox, Box, SkyDrive and Google Drive access: Download and Upload photos and Videos from and to your account, Also includes a Photo Viewer to see your photos directly from your Account. Everything from your photo library. 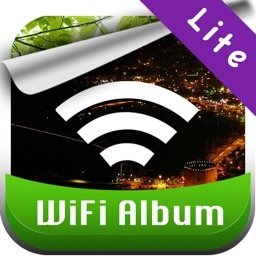 • Import photos and Videos through iTunes from the apps tab of the device. 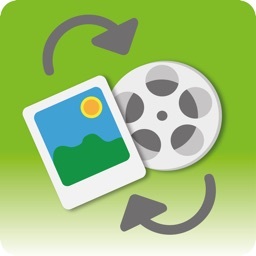 • Export video in slow motion, you can select the part of the video you want to Slow motion mode. • Select all the ones you want to send, without limits. A photo viewer and video player is included. • The photos and videos are in full resolution and the photo information is kept in the transfers. Also you can select between 3 qualities and custom quality for the photos. • The properties of the photos are kept even when the quality is reduced. 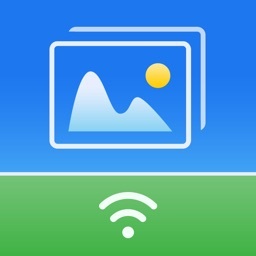 • Transfer photos in RAW formats between iPad and computer, iPads and Dropbox, SkyDrive, GoogleDrive and Box. • Works with any computer with an Internet Browser. 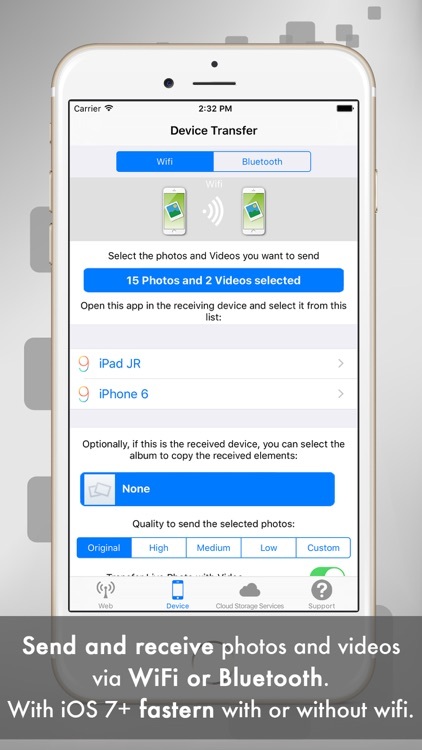 • You can select an Album to save the received Photos and Videos, also create new Albums. • Download the Photos and Videos with its original filename and date. • Universal App, install this app on your iPhone, iPad or iPod Touch. 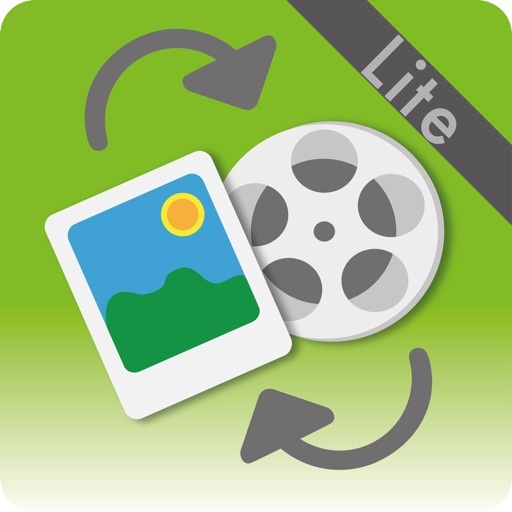 • To transfer photos from one device to another both devices need to have this app installed. 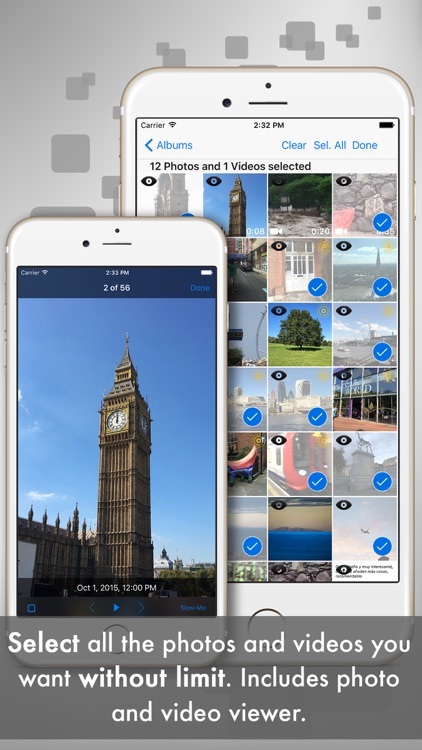 • Free version allows you to transfer up to 5 photos at once at medium quality. Upgrade to PRO version and transfer all the photos you want also with Full Quality.